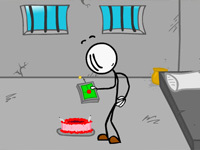 Description: Try to stay away from the dog until the time limit runs out.. Save My Nuts is a Stick Games. Instructions: 1. Hold left at the start of the round. This makes it easier to dodge the dog. This tip is especially useful in later levels. 2. Move in squares, it's easier manuevering the character this way. .